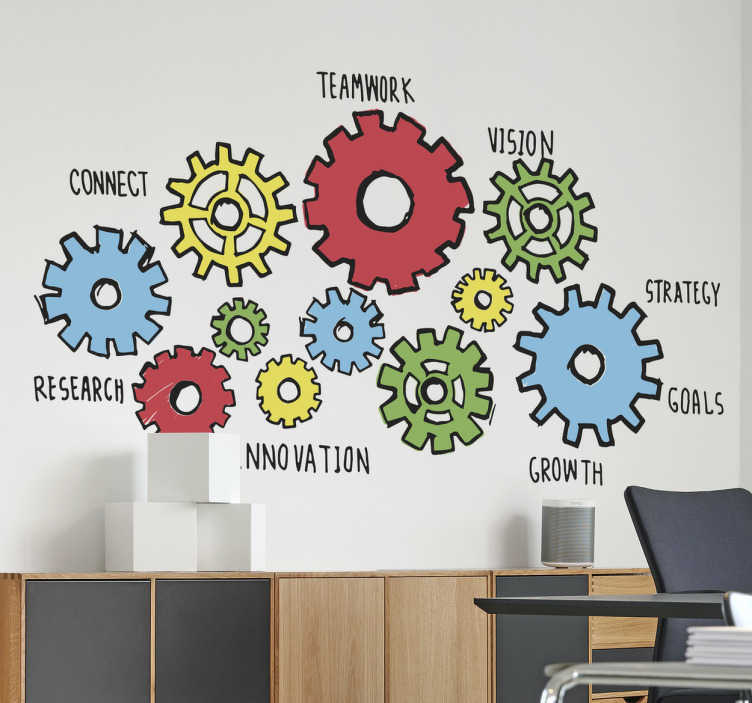 If you're looking to inspire your workers then this decorative wall sticker is the perfect piece of motivation! Featuring the design of various cogs all working in motion alongside words such as "strategy", "research", "growth", "teamwork" and "connect". This vinyl is applicable to any hard smooth surface and is available in a wide variety of sizes. A great sticker for offices everywhere!